As we approach one year of the new Osbourne Hotel, we also approach awards season. 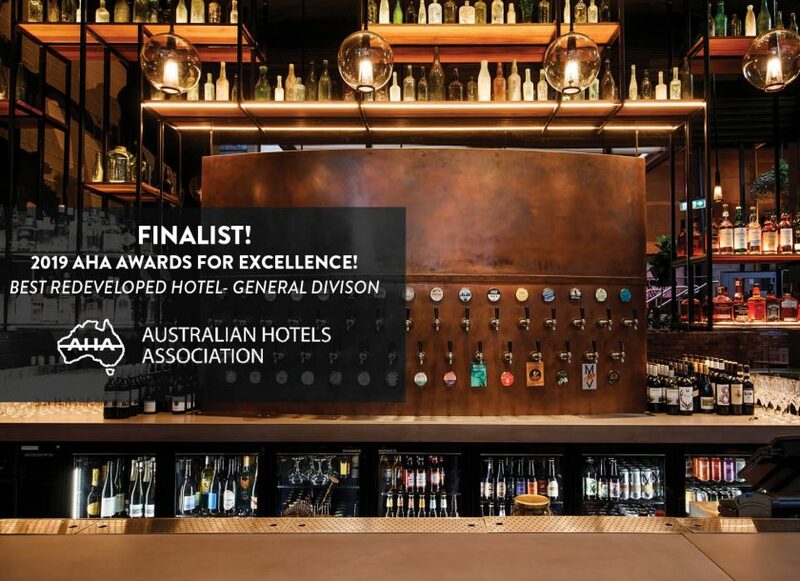 With so many amazing new and existing hospitality venues pushing the envelope in Brisbane, it is an absolute honour to be nominated for a number of awards in the industry this year. Last year saw the Osbourne Hotel, formerly known as Fringe Bar and Kerbside, undergo a multi-million-dollar makeover to restore the building to its roots as a pub for the locals, and return to its namesake in a nod to its original owner, Charles Osbourne. During a trip to the United States the hotel’s directors identified a lack of outdoor sanctuaries and beer gardens in Fortitude Valley. The concept was simple; the Osbourne Hotel would provide the Fortitude Valley area with a traditional pub experience- good beer and food at reasonable prices. This idea has proved to be a success, with the venue becoming an increasingly popular spot for those near and far. Our street level green space has become a sanctuary among the hustle and bustle of Fortitude Valley, and our impressive 92 beer taps ensures our customers never lose interest once invited in. The Osbourne has created an exciting oasis where patrons can enjoy craft beer throughout our venue whether it be inside in our art-deco bar, outside, amongst the lush greenery and unique curved copper beer fonts or upstairs in our cocktail bar, overlooking Ann Street. To capture a true core following of local residents, the kitchen menu provides great Australian fresh produce at affordable prices. Pushing the boundaries with flavours and ingredients, the delicious selections keep regulars enticed and excited. In order to deliver meals of exceptional quality, the menu was engineered using ingredients at the peak of its seasonality. One of the elements that make the Osbourne’s dining experience so unique is the way in which each dish is presented. Head Chef Ben King plates up masterpieces with an individualised artistic flair that positions the Osbourne at the pinnacle of pub dining. The hotels mission statement to be “warm, welcoming and a little bit unexpected” exudes the Osbourne’s promise to always offer the best of modern pub food. We aimed to create a warm, inviting sanctuary, in the middle of busy Fortitude Valley, where everyone is welcomed to taste the best of Australian and International craft beers, over an delicious bite to eat. Creating a social hub was our goal, and since its opening, the flood of positive feedback we have received from customers far and near indicates that we have achieved this to some degree. Word of the Osbourne’s offering has spread nationwide, with more nominations to follow. 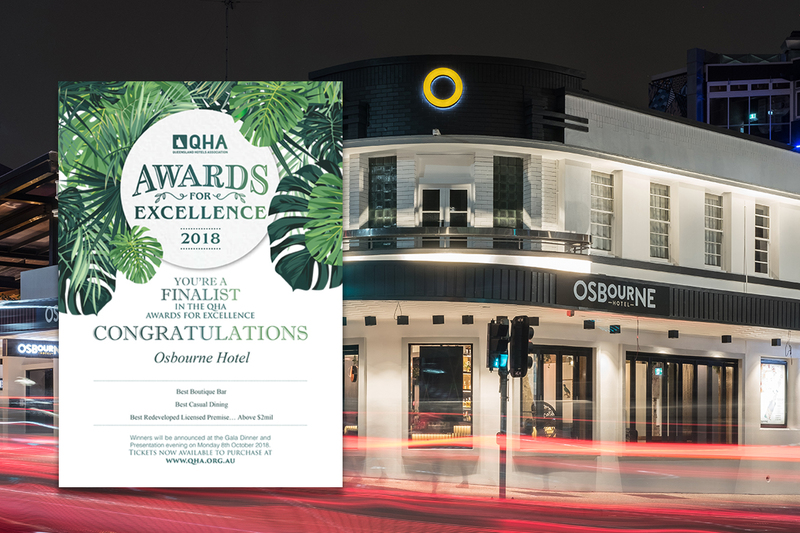 Namely, the 2018 Australian Liquor Industry Awards (ALIA) is just around the corner, and the Osbourne Hotel has made the finalists list in this hotly contested on-premise awards night. All finalists will now go to ALIA’s extensive panel of judges from all sectors of Australia’s liquor industry where the judges will vote for the top three in each of the categories, to ascertain the ALIA winners. 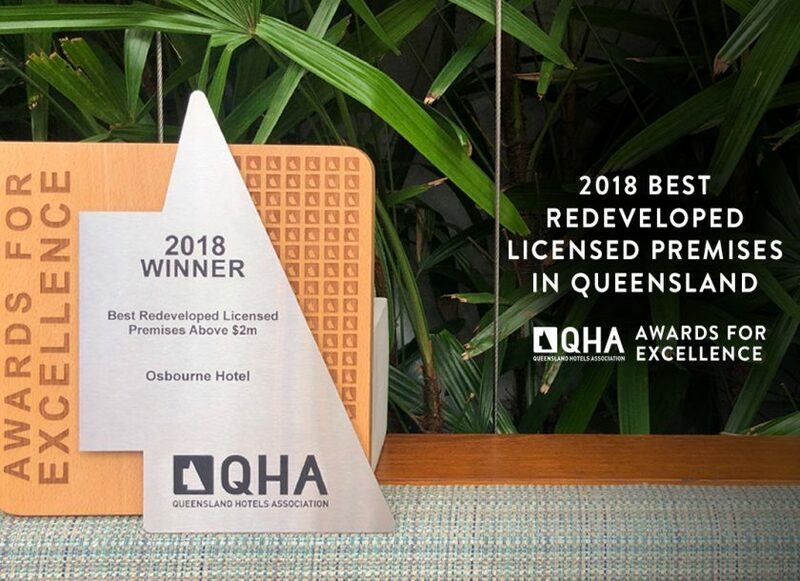 Going against some of the best venues in Queensland and Australia, wish us luck as the winners will be revealed soon at the Annual QHA Awards for Excellence, on the 8th of October; and the 2018 Australian Liquor Industry Awards, on the 31st of October.